Cusco, or Cuzco (Spanish) and Qosqo (Quechua), was once the capital of the Incan empire and is today the capital of the Cusco Region and Province. Cusco is the centre of the Quechua culture, a UNESCO World Heritage Site, the Historical Capital of Peru and one of the most visited cities in the country. It receives over 2 million visitors per year, many of which use the city as a base from which to embark upon a trip to Machu Picchu, which lies to the northwest. In this article we have set out the ultimate line-up of things to do in Cusco city and the Sacred Valley. There is something here for everyone! We have provided quicklinks below to help you navigate quickly through the article. Probably the first thing about Cusco that strikes a newly-arrived visitor is the air. At 3,400m (11,155 feet) above sea level, the air is thin and altitude sickness – soroche – can be problematic. Upon arrival, it is prudent to spend a day relaxing as you acclimatise – and a further two days if serious trekking is on the itinerary. You can read detailed information on acclimatisation and altitude sickness here. Alternatively, if you have the time we recommend going straight from Cusco airport to the Sacred Valley, which at 2,800m above sea level is significantly lower than Cusco city. The quaint Quechua towns of Urubamba and Ollantaytambo offer a wide variety of hotels and hostels and make for a great base to explore the Valley for a day or two before retuning to Cusco, properly acclimatised. 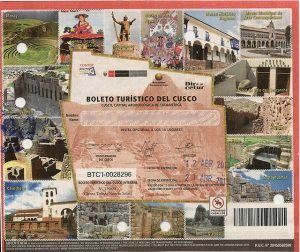 A Cusco Tourist Ticket or Boleto Turistico is a permit that you can buy to get free access to a number of sites in and around Cusco. 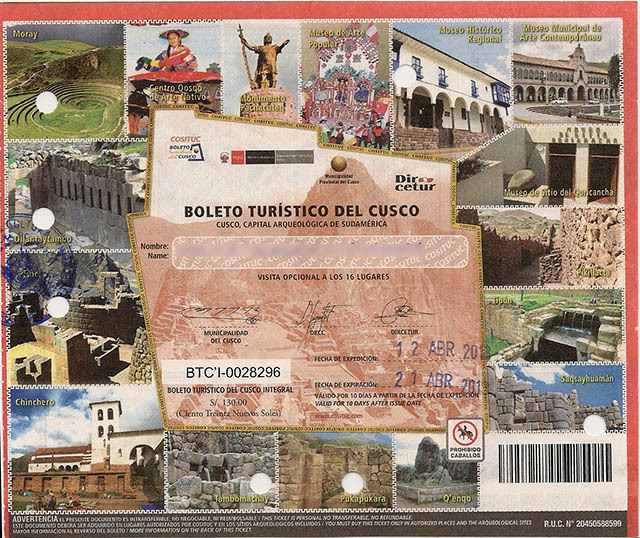 The Boleto Turistico can be bought at Oficina Ejecutiva del Comité (OFEC), which is on Ave. Sol 103 in Cusco. OFEC are open Mon-Fri 8:00am to 5:30pm & Sat from 8:30am to 12:30pm. Tickets cost 130 Soles for a 10-day pass or 70 Soles if you have a valid ISIC student card. We highly recommend getting a good guidebook which will undoubtedly heighten your visiting experience. There is nothing worse than walking around a city, local market or ancient ruin and not having the faintest clue about the history or significance of the thing you are looking at. For a really good general guidebook on Peru you cannot beat the Peru Lonely Planet, which offers a brilliant section on the entire Cusco region (incl. Machu Picchu). 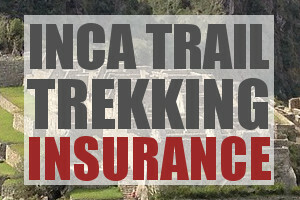 Alternatively we would also recommend the Trailblazer Edition for the Inca Trail, Cusco and Machu Picchu. 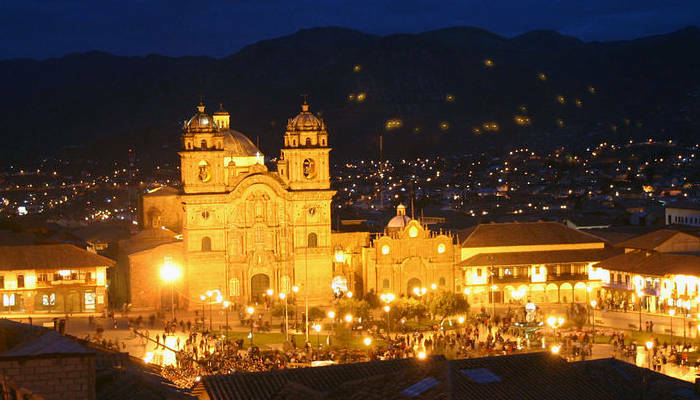 Cusco city is steeped in rich history. The Killke civilisation occupied the region from 900AD to 1,200AD. The Inca’s took control in the 13th Century and made Cusco the capital of their Empire. When the Spanish arrived in 1533 they destroyed many of the Inca temples and buildings, and used the foundations for some of the buildings you can see in the city today. 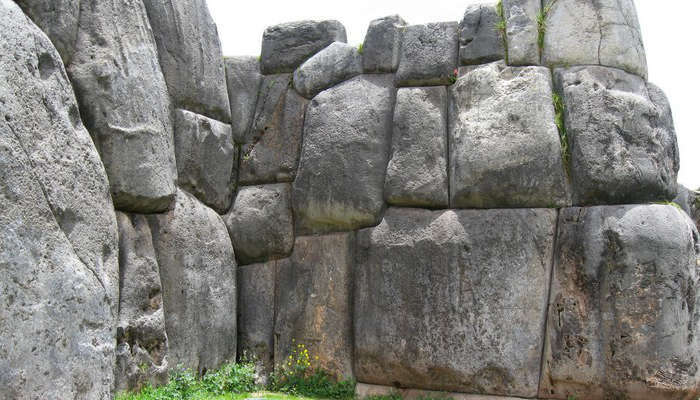 Here are the main historic sites that we recommend visiting in Cusco. 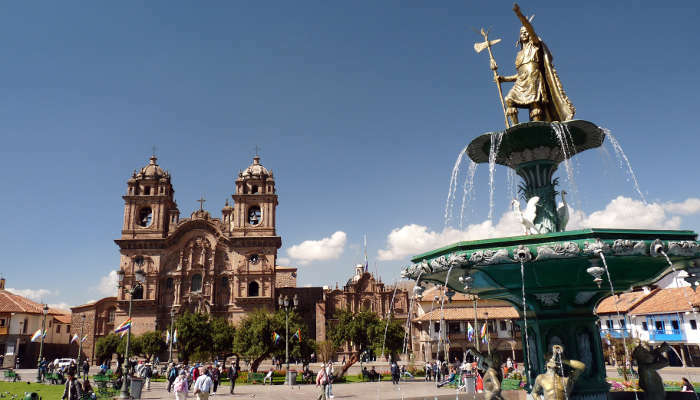 The Plaza de Armas is the main square or historic centre in Cusco. It is the tourist hub of the city and a great starting point to visit the main sites. The Plaza is surrounded by a number of hotels, restaurants and shops which give it a very lively atmosphere, as well as some noteworthy cathedrals. Another interesting square is the Plaza de San Francisco, which is southwest of the historic centre. Cusco Cathedral, aka Cathedral Basilica of the Assumption of the Virgin, is the mother church of the Roman Catholic Archdiocese of Cusco. It is located on the Plaza de Armas and was built in the early 1600s, and completed in 1654. 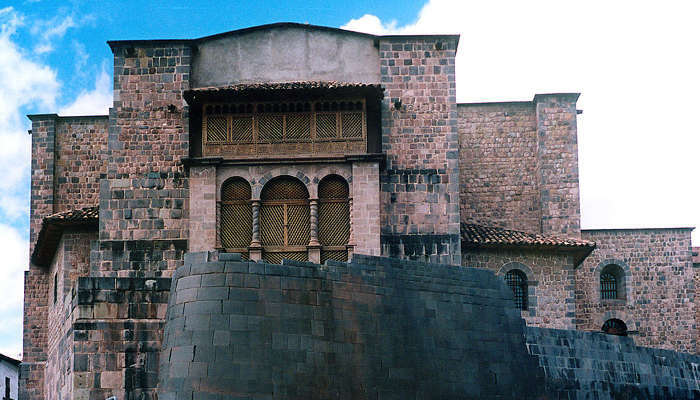 It is undoubtedly one of the most impressive buildings in Cusco. It is exceedingly pretty by night (see pic below). The facade is renaissance-style, while the interior is baroque. Within are elaborately-carved wooden altars that are covered with gold leaf. There is much engraved silverwork in addition to an exquisite collection of paintings of which a number are by masters. Photography is not permitted, in contrast to most cathedrals, which are all-too-proud of their art. 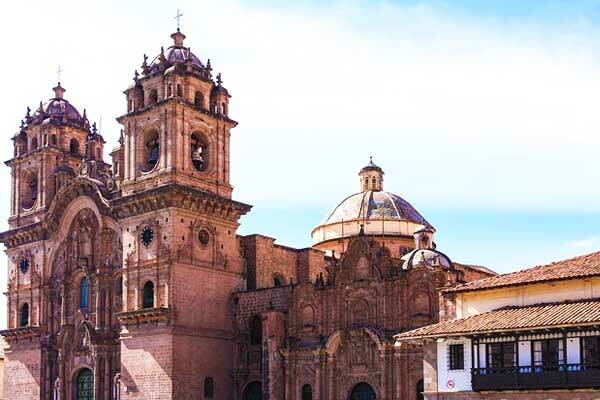 The Iglesia del Triunfo (Church of Triumph) and Iglesia de la Compania de Jesus (Church of the Society of Jesus) are adjacent to Cusco Cathedral and also worth visiting. Qurikancha (which means ‘enclosed place’ in Quechua) used to be the most important temple in the Inca Empire. The temple was dedicated to the Sun God (Inti) and was very ornately decorated, with gold walls, floors and statues. When the Spanish discovered it they were amazed by it’s opulence. Unfortunately, most of the gold was used to ‘pay’ the Spanish, who had placed a ransom on the life of the Inca Emperor, Atahualpa. The Spanish eventually demolished Qurikancha and built the Church of Santo Domingo on it’s foundations. Today one can still see Inca walls within the Church. There is a small charge to enter the church, which is situated just off the Plaza de Armas. More info about Qurikancha and the museum of Saint Dominic Priory can be found here. One of the most unmissable things to do in Cusco is the district of San Blas, a funky place with unique cafés and some of the most interesting shops in all of Peru. 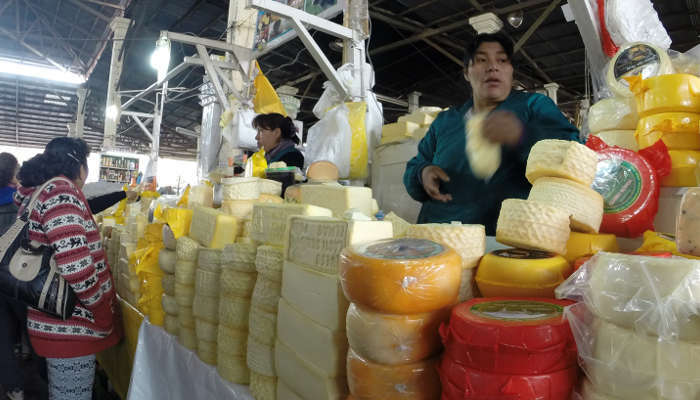 It is the artisanal centre of Cusco, where shop owners can be observed executing their craft. A custom-made piece makes for a fantabulous gift for a loved one or, in case you needed an excuse, yourself. There are many slopes and stairs in San Blas, which might be tiring on your first day unless you opt for a taxi. Opening times: Monday TO Ssaturday: 8:30 a.m. – 5:30 p.m. Sunday: 2:00 – 5:00 p.m.
Facinating museum that is well worth the visit. Great collection of pre-columbian art, and for the kids there are llamas in the garden. Well worth the visit. Super interesting! Definitely visit if you have kids. Chocolate museum and factory, yum! 2-hour tour and workshop. A wonderful display of local and Peruvian art, some of which is on sale. 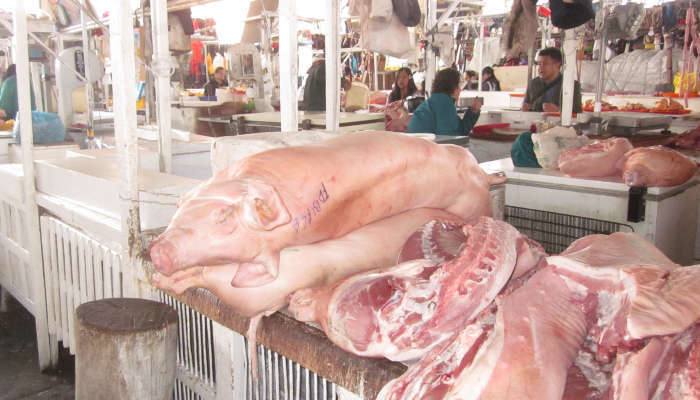 If you only do one thing in Cusco make sure you go to San Pedro market. This will be one of the most colourful, vibrant and eye-opening experiences of your life. The market is segmented into various sections that range from fresh food and produce (fruit, vegetables, meats, cheeses, breads ect) through to local textile stores, juice stores and pop-up restaurants. Not to be missed. Here are some pics from the market. 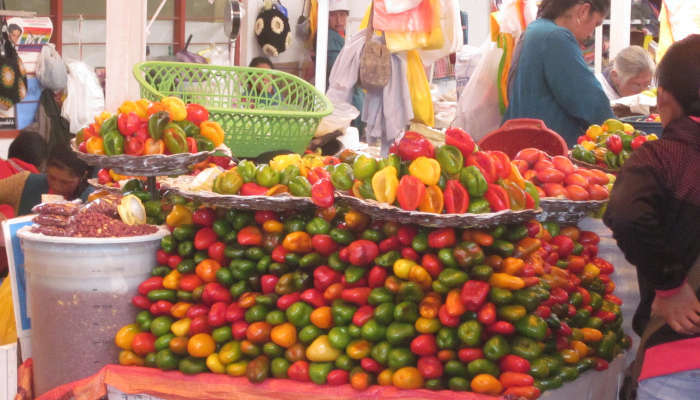 Food is one of Cusco’s main attractions, as the array of national cuisines is one of the best of any South American city. 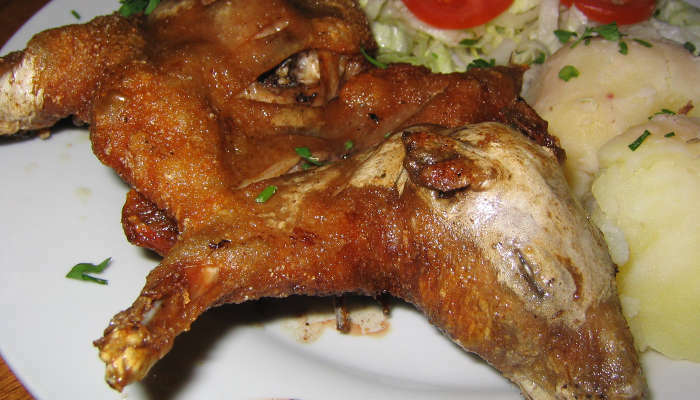 Would you not like to try some guinea pig? Cuy in Quecha, this tastes like a cross between chicken and pork and is a local delicacy that is usually the most expensive item on any menu. It is customarily served whole, so it will stare right back at you. You are expected to eat it with your hands – cutlery makes little impact. Guinea pig is the principal dish in the painting of the Last Supper found in the Cusco Cathedral. 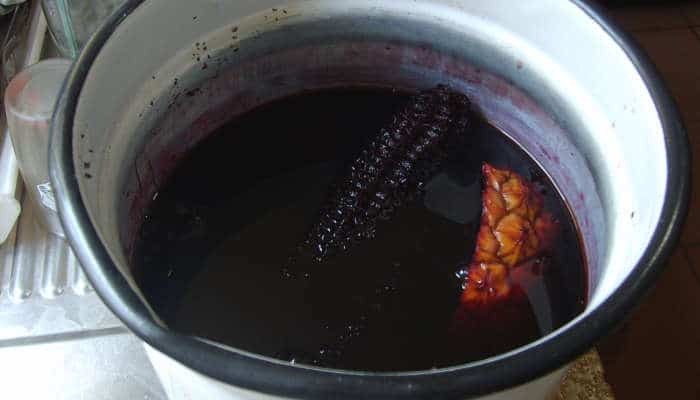 The Cusco region also offers a wide variety of local beverages. 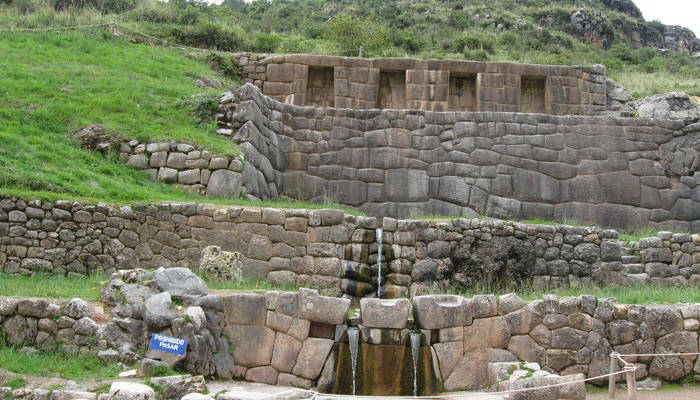 There are a number of notable Inca ruins within 30-60 minutes from Cusco. Here are the few we recommend you visit. You can easily rent a taxi to take you to these sites (~US$5-20 return, depending on which site), and the first one listed below you can in fact walk too. Saqsaywaman (aka Sasawaman, Saksawaman, Sasaywaman or Saksaq Waman), which means ‘satisfied falcon’ in Quechua, is an Inca complex situated just outside the northern end of Cusco city. 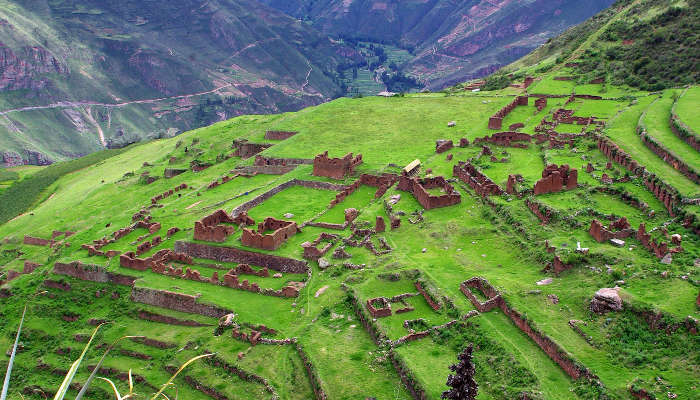 This is a great site to go have a picnic, enjoy the birds-eye views of Cusco, and explore the ruins. The site is situated higher than Cusco (3,700m) so make sure you are well acclimatised. Just behind the ruins are some rock slides and interesting tunnels that are great fun for kids! You can walk to Saqsaywaman. From Plaza de Armas it is straight up Plateros street which becomes Saphi street. From here it gets a little complicated so ask locals to point you in the right direction. It goes without saying that you should only walk there in a group and don’t flash your possessions like cameras. Muggings have been reported in this area. There is a small charge to enter the ruins or if you have a boleto turistico you can present this for free entry. Pikillaqta, which literally means ‘flea place’ in Quechua (don’t worry there are no fleas), is a large Wari archeological site just 20km east of Cusco. The Wari were a civilisation that inhabited huge portions of South America and pre-date the Incas by several centuries. The site is thought to have been used for ceremonies, like large feasts. It was founded in circa 500AD and abandoned in 1,200AD. Tambomachy (aka Tampu Mach’ay or Tampumach’ay), which means ‘guest house cave’, is an interesting ruin situated just north of Cusco on the route to Pisac. The exact purpose of the site is still unknown but some think it may have been used as a spa given its extensive use of aqua-ducts and canals. Moray (aka Muray) is a super interesting Inca site situated a little further outside of Cusco than the first three Inca sites suggested above (50km away, near the village of Maras). It is however, well worth the visit. 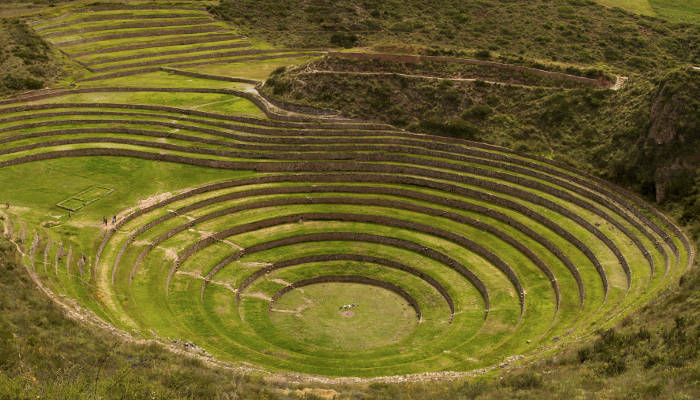 The site consists of large circular terraces that may have been used by the Inca’s to study the effects of weather / climate changes. 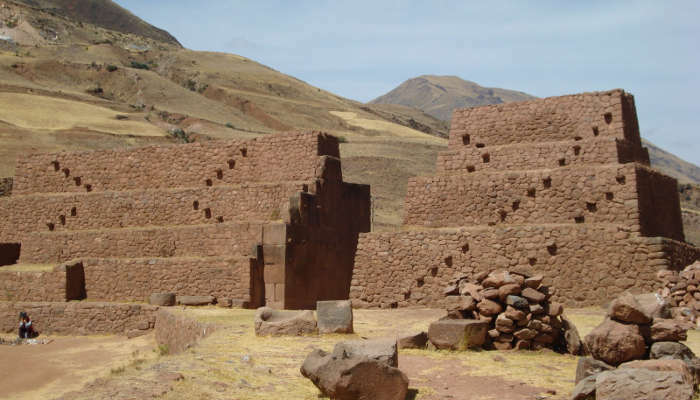 Huchuy Qosco, which means ‘Little Cusco’ in Quechua, is another fascinating Inca site. It is however not a day trip and does requires hiking. The easiest way to reach it is by driving from Cusco to the town of Lamay (2 hours) and then hiking 3-4 hours up to the site. Alternatively many tour operators offer a 2D/1N hikes to Huchuy Qosco which includes stops at Tambomachy and sometimes Moray. Click here to read more about the Huchuy Qosco trek. There are a number of wonderful trekking trails throughout the Cusco region. If you are interested in trekking we recommend you check out our article on hiking trails in the Cusco region and to Machu Picchu. The Cusco region has many rivers and great whitewater rafting opportunities. 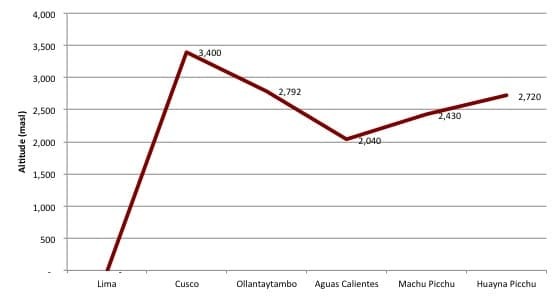 Upstream rapids near the Chuqicahuana or Cusipata sections of the Rio Urubamba/Vilcanota provide the best ‘nearby’ opportunities to raft, and depending on the season (Nov-April) rapids can get as big as Class 5. Please note: do not be duped into rafting in the Sacred Valley near the towns of Ollantaytambo or Urubamaba as the water is severely polluted here. If you are looking for a less adrenaline-filled rafting experience then the Piñi Pampa section of the Rio Urubamba provides calmer rapids (Class 1 and 2) and you can paddle your own canoe! The ultimate rafting experience in the Cusco region is undoubtedly that offered on the Rio Apurimac – a source river to the Amazon. Rafting trips here usually last 3-4 days and include Class 3-5 rapids, incredible mountain scenery and deep canyons. Check out our article on rafting in the Cusco region here for more details. If you know how to ride a motorcycle then renting a bike is one of the best ways to see Cusco and the Sacred Valley. Motorcycles can be rented in a few places across Cusco city but you are best placed to go to Calle Plateros, just north of Plaza de Armas. Here you will find a few shops that will rent you a bike for the whole day at US$40-$US50 (this includes two helmets if you are travelling with a partner), gloves and sometimes a jacket. They usually don’t even check your license, or if they do a drivers license should suffice. Recommended route: Head North out of Cusco on the road to Pisac. You can stop at Tambomachy and the Cochahuasi Animal Sanctuary. Pisac has a great local market. From here continue to Urubamaba or Ollantaytambo for lunch, there are Inca sites along the way. Head back using the route via Chinchero. Make sure to book with a reliable operator as there are a number of sharks out there! You can read about the Inca Jungle trek option here. Paragliding across Cusco is another growing tourist activity. Tours fly over the Sacred Valley and some go even further into the Andes. If you are interested in doing a paragliding tour this detailed article will help you find a reliable operator. 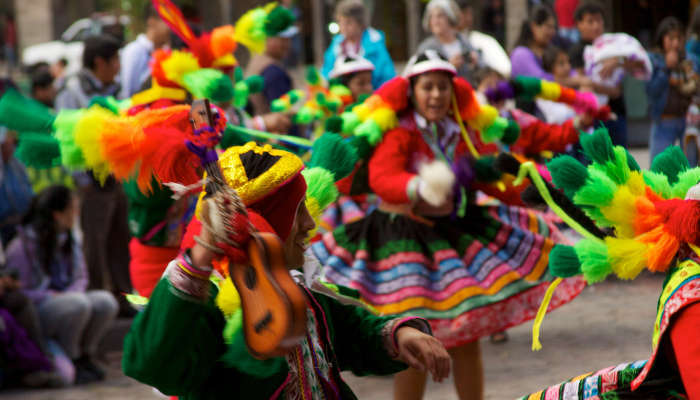 Festivals in Cusco are virtually unending, and if you are lucky enough to visit during one of these colourful celebrations, then we highly recommend attending. 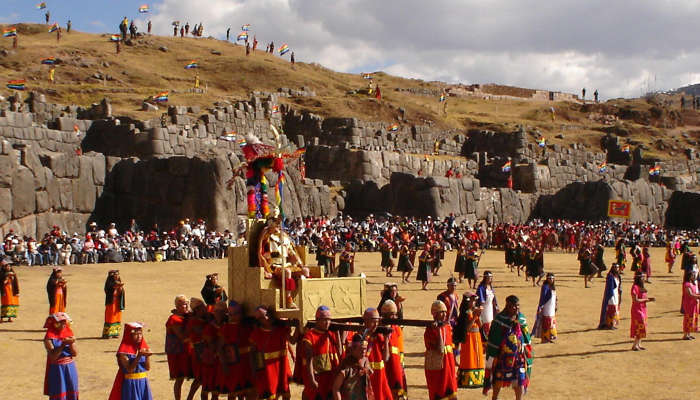 We have provided a calendar of Cusco festivals and events below. Most people come to Cusco to visit Machu Picchu. The famous Inca city can be assessed either by train or by trekking. Booking well in advance for both train tickets or trekking tours is important. Our article – How to get to Machu Picchu – shows you all the travel options you have at your disposal from Cusco. Cochahuasi Animal Sanctuary is an amazing rehabilitation centre for injured and victimised animals. If you have the time we highly recommend visiting. The sanctuary has pumas, condors and vicunas. Maras is a town in the Sacred Valley, 40km from Cusco. 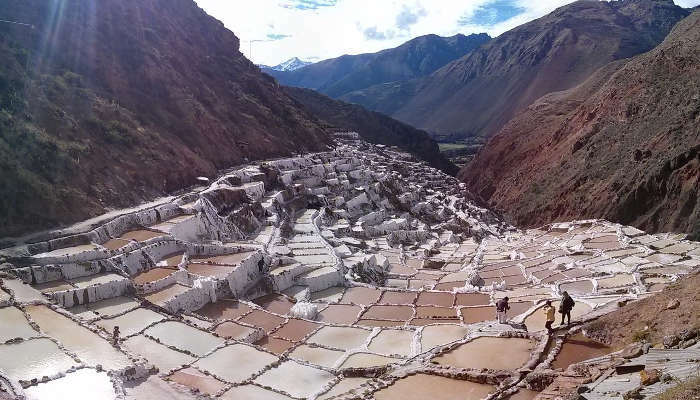 It is the location of the Maras salt pans which are well worth a visit. The town is located near Moray so we recommend combining these visits. There are a number of ladies in and around Plaza de Armas who hand out fliers for massages. These are generally legit and cost US$5-6 for 1 hour! Sapo is a traditonal bar game which involves throwing frichas, small coins, with a bronze toad attached (the sapo) into holes in a table. Points are scored for getting the coins into the holes. Chicha (a local beer, see drinks section above) is usually served while playing and we recommend befriending locals to help you get started on the game. Soccer fans should not overlook the football matches at the Estadio Garcilaso de la Vega stadium – a great chance to support Cusco’s home team, Cienciano. There are 100s of restaurants in Cusco. For cheap and cheerful meals we recommend you check out the following four restaurants: Creperia La Bo’M, Organika, Qucharitas and Green Point My Vegan Restaurant. More expensive, but super good restaurants include: Le Soleil, Qespi, MAP Cafe and Cicciolina. Accommodation options in Cusco range from budget hostels all the way through to luxury 5-star hotels. Have a look at our Cusco Hotel and Hostel Guide to get a sense on where you would like to stay during your visit. You might also want to check out our hotel and hostel guide for Ollantaytambo and Aguas Calientes. If you have any questions about things to do and see in Cusco then please leave us a comment and we will respond within 24hours (so do check back). 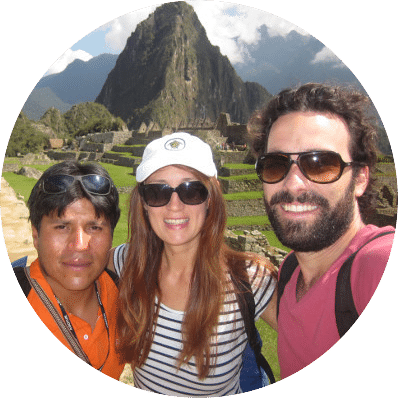 If you have found this Things to do in Cusco article helpful, please share on your social networks using the Facebook and Twitter buttons below, or better still, if you have a blog and think this information would benefit your audience, please link to us. Thanks!